My 3x great-grandfather, John G. Hiler, was born in New Jersey in 1822 to John Hiler and Ruth Garrigus of Morristown, New Jersey. Again, as it often seems with many of my ancestors, I only know bits and pieces of information about him. Although born in New Jersey, he left and settled in Danville, which is in Montour County, Pennsylvania. It’s about 137 miles west of Morristown. By the age of 28, John is married and listed with his wife and two children in the Danville 1850 census. Montour County had just been formed a couple of months earlier. Danville was the home of several iron works, and John Hiler was employed at one them. The most well-known was the Montour Iron Works, where the first iron T-rails were manufactured in Pennsylvania, and possibly the United States. From at least 1850 to 1870, John worked as a heater at an iron mill. His job would have been to take piles of hot bars of steel and put them into furnaces and bring them to white heat. After that, men who worked as “rollers” would weld them together and roll them into bars, sheets, and other shapes. By 1880, John had moved up to the position of foreman at a mill in Northumberland County, just 10 miles from Danville. He and his wife, Mary Lavinia (maiden name uncertain, but possibly Arbegast), had at least 6 children between 1848 and 1867. Two had died before 1880 – one of them being my great-great grandmother Clara Hiler – and then in 1882, John’s wife Mary Lavinia died. 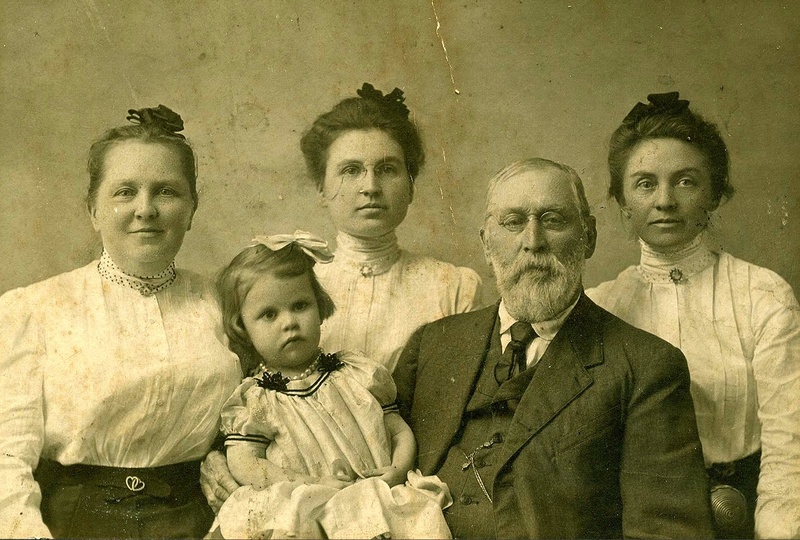 John Hiler is pictured here with some of his family. The identities of the women are unclear (daughters? daughters-in-law? ), but we do not believe his wife is one of them. The young child in his lap could be a grandchild. There is no 1890 census available to trace where John Hiler may have been, but in 1892, the New York State census shows him living in Elmira, Chemung County, New York. It appears that after his wife’s death, he went to live in Elmira with one of his children. Even at the age of 70, he is shown as being employed as a laborer. In the same household are his divorced daughter, Ruth Hiler Roat; her son Walter Roat; and his granddaughter Mary Gulick, who would marry my great-grandfather, Frank Roberts one year later in 1893. 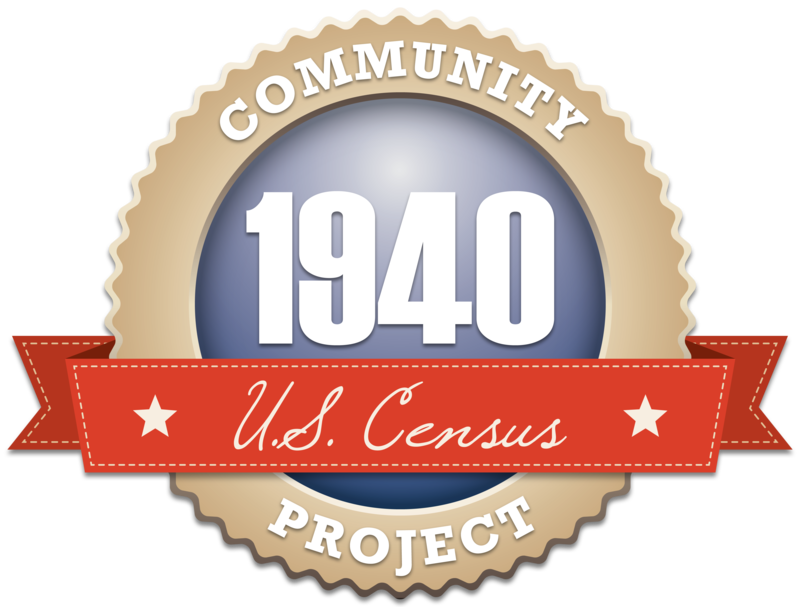 The last census in which an occupation is given for John Hiler is the 1900 U.S. Census. I have seen the term before, but never followed up on it until now. He was a “capitalist.” Now that may sound grandiose or political, but it turns out that in 1900, it was the term that enumerators were instructed to use when someone was living on income from land, stocks, etc. (as opposed to having a “regular occupation”). In August of 1905, John died of “old age and general decline” (and had diabetes), but managed to get enumerated in one more census – the 1905 New York State census, which was taken on June 1 when he was 83. He is still living with family, which this time consisted of his daughter Ruth, with whom he’d been living in 1892, his daughter Jennie Hiler Starick, and Jennie’s husband Edward. He had no occupation listed. I’m hoping he was just taking it easy. From the family photo above, he looks pretty content.